Homo cepranensis is the name proposed for a hominid skullcap found near the Italian town of Ceprano in 1994 by archaeologist Italo Biddittu. Unfortunately it was shattered by a bulldozer during highway construction immediately before its discovery. On the basis of regional correlations and a series of absolute dates, the age of the Ceprano hominid is estimated to range between 800,000 and 900,000 years. It shares many features with skull caps of Homo erectus including a massive shelf-like brow ridge, extremely thick skull walls, sharply-angled occipital region and a small internal volume, estimated at 1057cc. Had it been discovered in eastern Asia, it might well have been assigned to H. erectus (Scarre (2005)). Interpretation is difficult due to the lack of material. Manzi et al (2001) point out that affinity with the contemporary Homo antecessor might be expected but unfortunately among the nearly 80 fossil pieces that have been found so far, none is directly or adequately comparable with the Ceprano specimen, at least in terms of completeness (as for some temporal bone fragments) or age at death (as in the case of the juvenile frontal TD6-15). It is possible that further examples of H. antecessor will eventually be recovered, and that these will reveal affinities to H. cepranensis. However Cameron & Groves (2004) have suggested that this species originated in Eurasia, with a later Eurasian Homo erectus population moving into Western Europe about one million years ago before eventually becoming extinct. Clarke (2000) claims the Ceprano specimen has affinities to the Olduvai hominid OH9 (1.2 million years old). OH9 and OH12 (700,000 years old) have been considered to represent “classic” (i.e. Eurasian) specimens of Homo erectus and may represent an expansion of this species back into Africa from Eurasia. On this picture, then, Homo cepranensis is seen as a representative of a European deme of Homo erectus that was associated with migrations “Into Africa”. A. Ascenzi, F. Mallegni, G. Manzi, A. G. Segre & E. Segre Naldini (2000): A re-appraisal of Ceprano calvaria affinities with Homo erectus, after the new reconstruction, Journal of Human Evolution (2000) 39, 443–450. Cameron D & Groves C (2004): Bones, Stones and Molecules: “Out of Africa” and Human Origins, Elsevier Academic Press. Clarke R.J (2000): A corrected reconstruction and interpretation of the Homo erectus calvaria from Ceprano, Italy, Journal of Human Evolution, Volume 39, Number 4, October 2000, pp. 433-442. G. Manzi, F. Mallegni, and A. Ascenzi (2001): A cranium for the earliest Europeans: Phylogenetic position of the hominid from Ceprano, Italy, PNAS August 14, 2001 vol. 98 no. 17 10013. 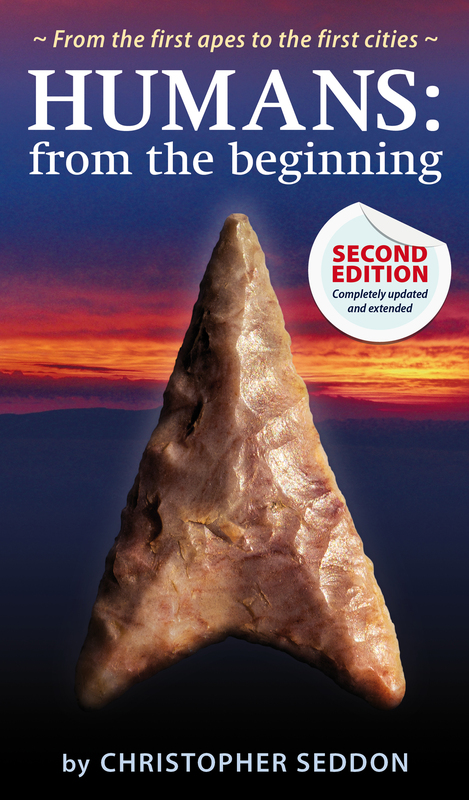 Scarre C (2005) (Ed): “The human past”, Thames & Hudson.